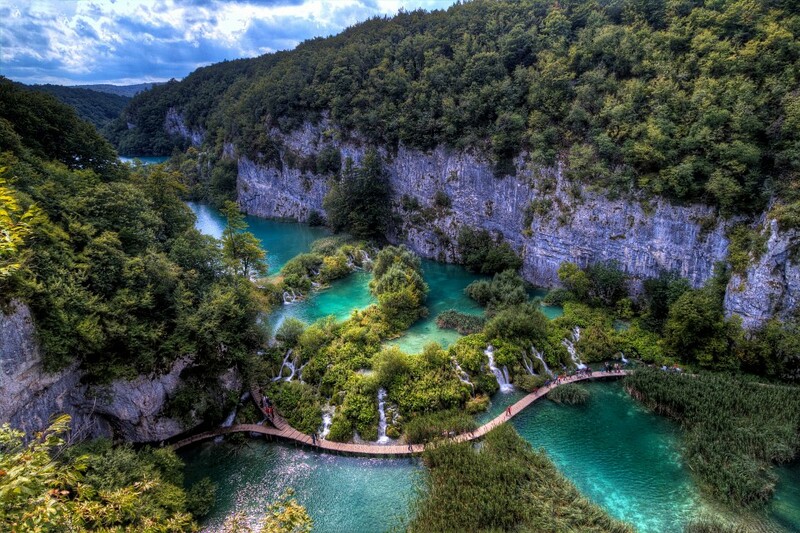 Croatia is located in Southeastern Europe and stretches along the Adriatic coast, with a larger inland area running west-east from Zagreb to the border with Serbia. It covers a land area of 21,851 square miles and has a population of about 4.3 million people. The country borders Slovenia and Hungary in the north, Serbia in the east, and Bosnia and Herzegovina and Montenegro in the south. 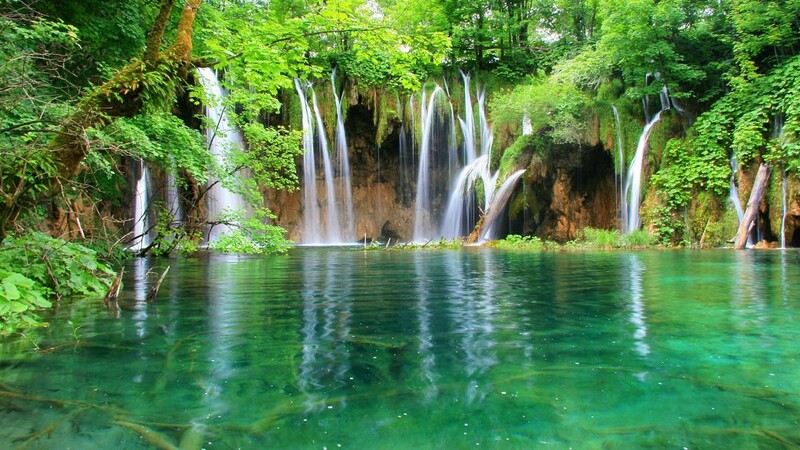 Croatia truly makes a great holiday destination with holiday resorts on the coast and idyllic weather, stunning scenery as well as lively local culture which are rapidly gaining in popularity. In the peak season of July and August, the coastal resorts become extremely busy, with soaring temperatures and a steep rise in accommodation prices. The inland region of the country contrasts with the Adriatic coast with its lush, forest-covered mountains and centuries-old castles. Almost 10% of the country is protected within eleven nature parks, eight national parks and two nature reserves. Wander trough the charming cobbled streets of the historic city of Dubrovnik, go island hopping from the quite island of Cres to cosmopolitan Hvar, enjoy the spectacular turquoise lakes of Plitvice Lakes National Park, have a dip in Krka National Park and explore the busy capital of Zagreb. 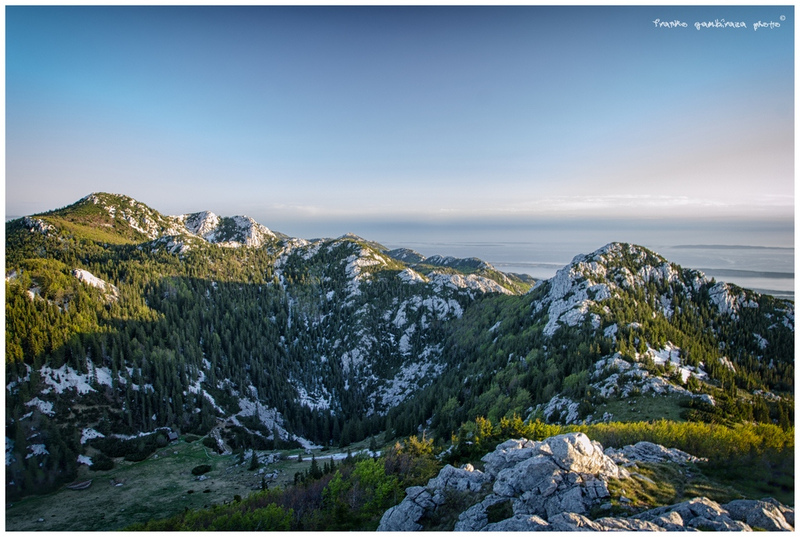 Rugged mountain ranges such as Velebit and Gorski Kotar are a perfect for hiking, while the Adriatic offers ideal conditions for water-sports. The official currency in Croatia is the Kuna. Foreign currency can be exchanged in banks, exchange offices, post offices and in the majority of tourist information offices, hotels and campsites. Up until the 5th century AD, Romans ruled the territory of what is now Croatia and it was organized into the coastal area called Dalmatia and the northern area known as Pannonia. Beginning with the crowning of King Tomislav in 925, Tomislav united Dalmatia and Pannonia into a single kingdom and the Kingdom was born. An independent Croatian state was established in the 10th century, but lasted less than 200 years. In 1102, the Croats came under Hungarian rule, and over subsequent centuries it was alternately ruled by Hungary, Venice, Napoleon and Austria. After World War I, a new Kingdom of Serbs, Croats and Slovenes was created in 1918, and following the Second World War, Croatia became part of Yugoslavia along with Serbia, Slovenia, Bosnia, Macedonia and Montenegro. Like its Balkan neighbors, the country has a history shadowed by the War of Independence (1991-1995) which had left the country damaged politically and economically. Although Croatia declared its independence from Yugoslavia in 1991, it took four years of fighting before the occupying Serb armies were mostly cleared from the country. Croatia joined NATO in April 2009 and became the 28th member of the European Union on July 1, 2013. 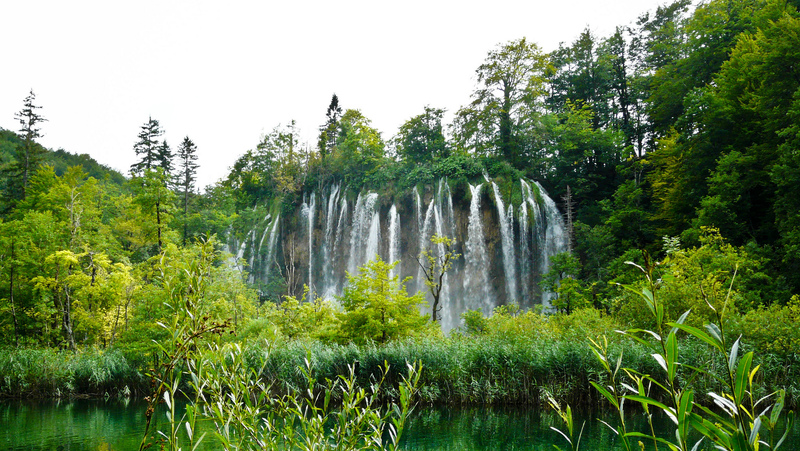 Today, Croatia is well established as a safe, independent and tourist-friendly country. The Istrian peninsula, located in the northwestern part of Croatia, will charm you with its stunning coastline, picturesque medieval towns perched on the hills, unspoilt nature of Brijuni National Park and beautifully-preserved, centuries-old harbor towns. The region is a cultural gem, with its many ancient attractions and charming local towns to discover. The city of Pula has some of the finest Roman ruins in Croatia, including a 1st-century Roman amphitheater, which overlooks the north eastern Old Town. Alongside the cultural attractions in Istria, there are plenty of beautiful beaches to relax in. Kvarner is located south of Istria. The economic and administrative center of the region is Rijeka, Croatia’s largest port and a busy gateway to the islands. The Kvarner’s best-known and oldest tourist destination is Opatija, with its 19th-century villas, luxurious hotels, lush gardens, and charming waterside seafood restaurants. Four stunning islands, Cres, Krk, Lošinj, and Rab are the region’s top destinations. The southern part of the Kvarner coastline is dominated by the majestic Velebit mountains, a huge mountain chain that comprises both the Northern Velebit and Paklenica National Park. The beach-spotted Dalmatia, a southern coastal region, is divided into three sub regions: Northern Dalmatia, Central Dalmatia, and Southern Dalmatia. 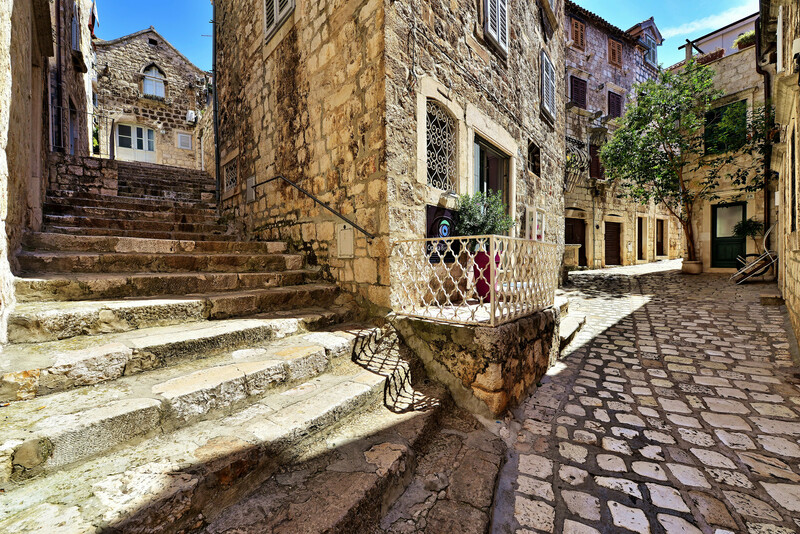 With its popular islands of Brač, Hvar, Korčula, it is a perfect place to kick back and relax. The hub of the coastline are the cities of Zadar, Split, Šibenik and Dubrovnik. Aside from the usual swimming and sun tanning you can also visit numerous exhibitions in small galleries, churches, historical monuments, palaces, and festivals that are held every summer. Dubrovnik, a medieval town with its solid walls, pedestrian-only Old Town, packed with Rector's Palace, baroque churches, chic boutiques, stylish bars and restaurants, is Croatia's most popular tourist destination. The UNESCO World Heritage Site is often described as the 'Pearl of the Adriatic'. Zadar is a vibrant medieval port and a perfect base for visiting the nearby islands. With a beautiful beach-side location, charming Old Town, museums, galleries and summer festivals is worth a visit. The city's main attraction are the two famous pieces of public art - the Sea Organ and the Greeting to the Sun. 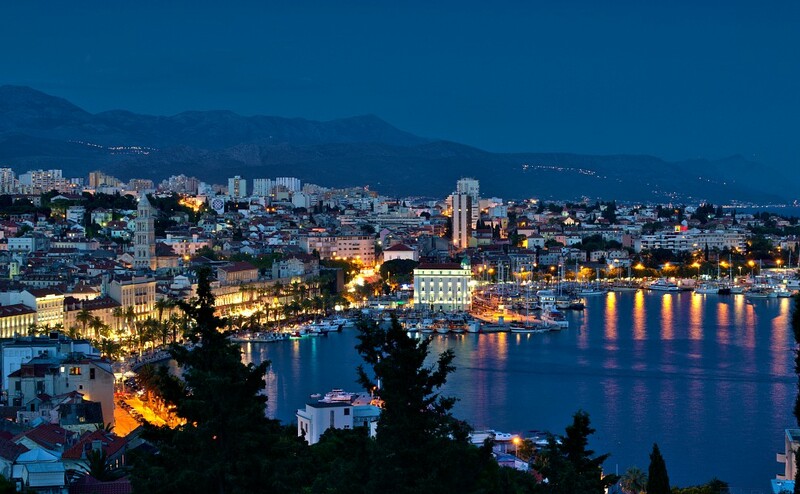 Split is the second-largest city in Croatia and a popular holiday destination. 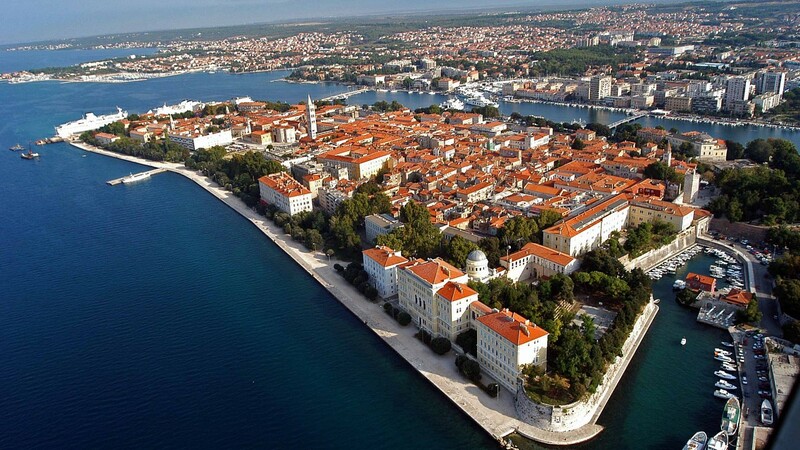 Its Old Town is defined by the busy harbor and famous Diocletian's Palace, the UNESCO World Heritage Site. The city is filled with shops, cafes, bars, restaurants and holds a wealth of archaeological, historical and cultural monuments. The best views of the city are from the top of the Marjan Hill. Šibenik with its magnificent medieval heart, Ghotic-Reneissance cathedral, narrow cobbled streets and stunning seafront promenade, is often unfairly overlooked by tourists. 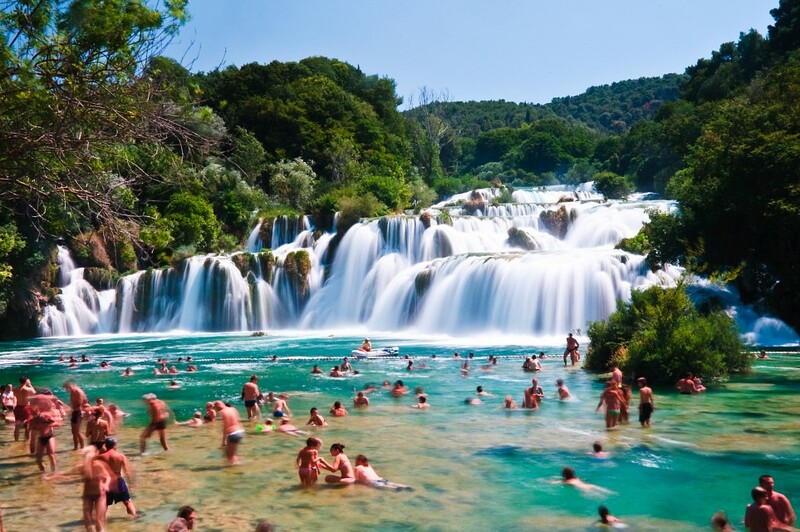 The city, located between more attention-grabbing cities of Split and Zadar, is also an important access point for visiting Krka National Park. Inland, the region includes the white peaks of the Biokovo mountains and the lowland plains of the Neretva Riviera. Slavonia is located East of Croatia’s capital Zagreb, and while its tourist infrastructure may not be as modern as that of its coastal neighbors, it is this culture, formed from its people, gastronomy and rural lifestyle, that makes it a fascinating destination to visit. Take a walk through the Old Town of Osijek, visit the traditional villages of Baranja and discover the charming town of Ilok. This is a region of medieval fortresses, pilgrims’ monasteries and wooden, country houses. 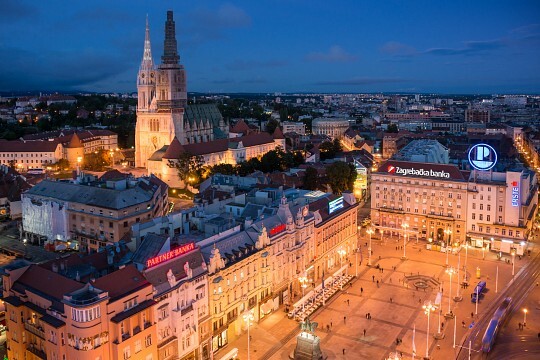 Zagreb, the Croatian capital with beautiful architecture, a huge number of museums and galleries, excellent restaurants, a lively café life, and lovely parks and gardens, is unquestionably the region's most interesting city. The most-visited city in the region outside Zagreb is Varaždin, with a Baroque-period city core and a unique ‘World of Insects’ exhibition inside the Varaždin Municipal Museum. The capital of Croatia, located on the southern slopes of Mount Medvednica along the banks of the Sava River, is the country's largest city and the economical, governmental and cultural hub. The cobbled city's center with a thriving cafe culture is perfect for walking around, boasting plenty of museums and art galleries to explore. The charming hilltop Upper Town is made of winding cobbled streets and buildings dating from medieval times up to the 19th century. In contrast, the Lower Town attracts with lovely green parks rimmed by Austro-Hungarian buildings. The Upper Town is linked to the Lower Town by a funicular railway or the Zakmaridjeve Steps and is undobtedly the loveliest part of the city. The majority of the population are Croats, with the largest minorities being Serbs, Bosnians; Slovenes, Hungarians; Czechs, Italians and Albanians. In Istria, an Italian minority prefer the Italian language, and identify strongly with Italian culture. In Slavonia, along the Hungarian border, ethnic Hungarians prefer the Hungarian language and identify with Hungarian culture. Almost 90% of Croatians are Catholic. Croatians are especially devoted to the Virgin Mary, whom they call “Gospa”. Keep your eye out for little shrines built throughout the countryside to honor her. The Croats are family-oriented people and have very close relationships with their extended families. The traditional way of life in Croatia is characterized primarily by community, which is reflected in customs, crafts and folklore. The typical greeting routine is a handshake, eye contact, and a verbal greeting based on the time of day. First names are only used among close friends and family, so do not use a person’s first name until invited to do so as this is considered rude. In Croatian culture, it is very important to pay particular attention to your time-keeping skills, as it is considered good manners to be punctual. Croatians do enjoy a drink but it would be pretty unacceptable for anyone, particularly women, to be drunk. People often use irony, cynicism, or dark humor, laughing at difficult situations or about personal flaws is very typical. Although, one of the wealthiest of the former Yugoslav republics, Croatia's economy suffered badly during the war. Between 2000 and 2007, Croatia's economic situation began to improve with moderate but steady growth. 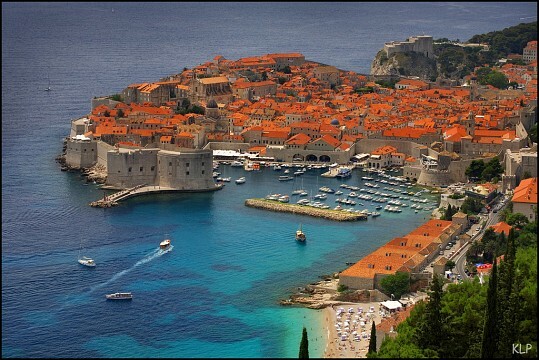 Like many of its neighbors, Croatia’s economy was hit by the global recession in 2008 and it is still struggling to recover from it. Today, the country is heavily deindustrialized with no strategic industry that can be protected or saved; everything is to be sold since the state has no resources to manage its remaining assets. The main driver of the country's economy is tourism centered on the Adriatic coast, which has recently fared well. As elsewhere, youth unemployment is particularly high. Pensioners are living in poverty, while youngsters are sharing advice on how to escape the country. The gap between rich and poor is widening and there is no sign that there will be a change in government policy or in the lives of ordinary citizens in the near future. Croatian cuisine is quite diverse, from the hearty stews and meat dishes of the inland regions to the seafood and Italian-influenced cuisines found along the coast. The coastal region is well-known for truffle delicacies, ‘Dalmatian pršut’; a prosciutto-like ham, dishes made of fresh fish, calamari, octopus, crabs, and scampi. Dalmatian brodet with polenta is a regional treat, as is the ‘pašticada’, beef slow-cooked in wine and spices and served with gnocchi. Amongst all the Croatian cheeses, the most desired is 'Paški sir', a salty, sharp cheese from the island of Pag. In the region around Zagreb is the specialty turkey with pasta tatters and ‘štrukli’; a cheese and cream pastry. In Slavonia ‘kobasice’, as well as spicy ‘kulen’, are a must-try. Cuisine in the eastern part of the country has a Hungarian influence and the food is quite hearty and seasoned with a lot of paprika. Specialties include ‘čobanac’; meat goulash seasoned with hot paprika, garlic, and bay leaves, ‘fiš paprikaš’; paprika-based stew with a variety of fish. If you have a sweet tooth treat yourself to ‘kremšnita’, ‘rožata’, crepes filled with honey and walnuts or jam, ‘baklava’ or ‘fritula’. The Croatians love their coffee, which can be found as a dark and strong Turkish-styled coffee or in a lighter version. Croats often mix wine with other drinks, such as mineral water or even coke. ‘Gemišt’, for example, is a red or white wine with mineral water. One of the popular summer drinks is also ‘Bambus’; a mix of red wine and coke. When it comes to beer, most Croatians prefer light lagers with popular brands Karlovačko and Ožujsko. Croatia Airlines operates internal flights between Zagreb, Osijek; Pula, Zadar; Split and Dubrovnik. Reaching the rest of the country is easier and more convenient by bus, or by car. Flight schedules are highly seasonal, especially for international flights. Whether domestic or international, prices are higher in the summer. Although Croatian Railways does connect many cities, there is no service in the south, for example from Split to Dubrovnik and there is only limited train service in the Istrian peninsula. However, if you are visiting northern and eastern Croatia, train transportation can be a decent transport option. Trains are slightly cheaper but usually both slower and less frequent than buses. There are two types of train; putnički, slow ones which stop at every halt, and ICN, inter-city trains which are faster and more expensive. Tickets are bought from the ticket counter at the station before boarding. If you buy a ticket on the train it may be subject to an additional charge. Croatia has a comprehensive bus network that connects all parts of the country. Bus services between major cities are frequent as are the regional services, especially in the summer season. Buses tend to be more frequent, slightly faster and a little more expensive than trains. Most of the drivers speak enough English to point you in the right direction and are friendly and helpful. As in most European countries, Croatians drive on the right. 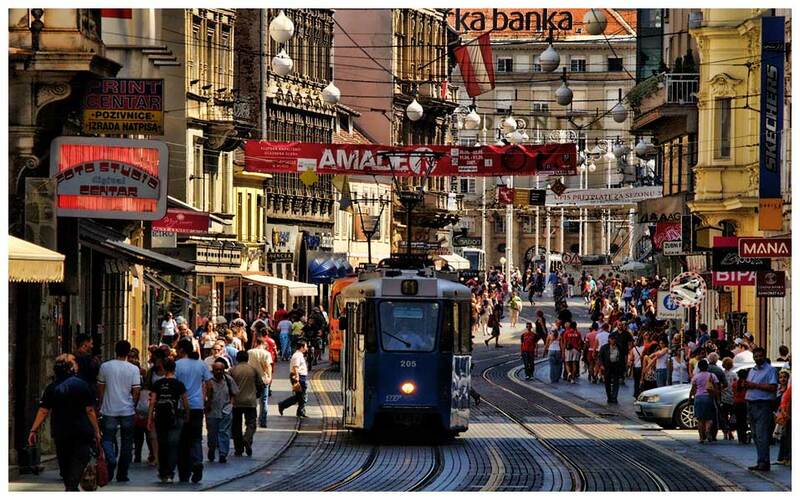 Generally, roads around Zagreb and other main towns are of a good standard. Roads on the islands are often unlit at night, so take extra caution when driving in the dark. Around the mountains, roads are very narrow and can sometimes only fit one car. The most picturesque route is the Adriatic Highway, Jadranska magistrala, that stretches along the coast of the Adriatic Sea. This mostly two-lane road is toll free, however most people prefer the motorway because it’s much faster. Speed limits are 50 kph in towns, 80 kph on minor roads; 100 kph on main roads, 130 kph on motorways. The principal mainland ferry ports are Rijeka, Zadar, Split and Dubrovnik. The largest ferry company with the most connections in Croatia is the state-owned company Jadrolinija, but there are also many smaller regional companies. During the summer season there are also number of catamarans connecting islands with mainland. The coastal areas and islands have a Mediterranean climate with mild and fairly wet winters and dry and warm summers. Inland is also hot during the summer but can be bitterly cold in the winter with sub-zero temperatures and heavy snowfall. Croatia’s festivals have been demanding the spotlight in recent years and there are dozens of events taking place all around the country every year. The majority of festivals take place during the summer months, especially in July and August. Perhaps the most famous of all the events is the Dubrovnik Summer Festival, where the spotlight is firmly on Dubrovnik and its rich and enduring history. Dubrovnik Summer Festival; the world-renowned festival includes a variety of open-air, classical concerts and theatrical performances at various venues within the city walls. It is held every year, from mid July until the third week of August. Pula Film Festival; one of Croatia’s top movie events takes place in July. Split Summer Festival features opera, drama, ballet and concerts on open-air stages and takes place from mid July to mid August. Rijeka Carnival; less famous than its Venetian neighbor, however, one of the biggest carnivals in the region. Summer Salsa Festival in Rovinj; dancing take place not only in workshop halls and hotels but also throughout the entire town of Rovinj. Hideout is a festival for fans of house and electronic dance music held on Zrče beach on the island of Pag. Rabska Fjera; the medieval summer festival on the island of Rab takes place end of July. Overall, Croatia is a safe country to visit. However, petty crime such as pick-pocketing and document theft occur, especially in busy tourist areas and along the Adriatic coast. Ensure that your personal belongings, passport and travel documents are secure at all times, particularly on public transportation and in busy tourist areas. 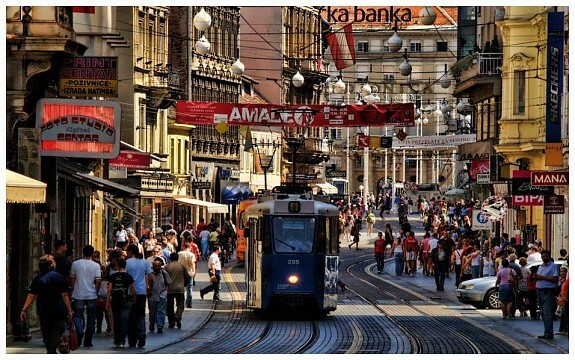 Croatia’s streets are relatively safe at night, even in the cities and there are no off-limit areas. Be cautious if you are planning to travel in war-affected areas like Eastern Slavonia, Brodsko-Posavska County; Karlovac County, areas around Zadar County and in more remote areas of the Plitvice Lakes National Park, as the landmines still haven't been cleared up. When in doubt, ask the locals about ‘mina’ or ‘razminiranje’ and keep your eyes peeled for signs with skull-and-crossbones on a red triangle with black lettering saying ‘Ne prilazite’ or ‘Oprez mine’. The roads are safe though. Don't discuss politics or history with people you don't know well, especially outside of urban and tourist areas. The war may be over, but under the surface there is raw and sometimes extreme nationalism throughout a large part of society. Don't forget your passport and make sure that you have a Green Card that includes cover for Bosnia and Herzegovina when you are driving south to Dubrovnik. About 50 miles north of Dubrovnik, you will drive through Neum, a short section of coastline that belongs to Bosnia and Herzegovina, and border control stations are present at each of the crossings. Always call their language 'Croatian', and not 'Serbo-Croatian', as comparisons to anything Serbian can still be a touchy subject for some. Keep in mind that everything in Croatia is seasonal, transport schedules are more frequent during the summer months than the rest of the year, and the same goes for fares and accommodation rates; they increase during the summer months. In most of Croatia, the beaches are rocky, so bring a mat to put under your towel.